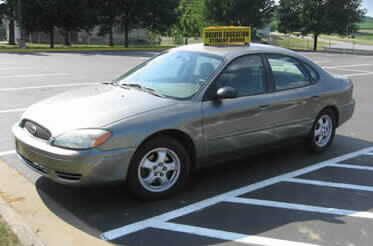 Successfully complete the classroom portion of your driver education. Successfully complete 6 hours of driving and 6 hours of observing with Mr. Bussan. Have your driver permit for a minimum of 6 months. Accumulate 30 hours of behind-the-wheel experience, which 10 of the 30 hours must be night driving. Acquire no moving violations for the 6 months prior to the application for this license. Have a parent or adult sponsor certify the 30 hours of driving experience. Pass the skills test and pay the required fees. Lesson 1 During the first lesson we will stay in Fennimore and practice full and proper stops, yields, turns and braking all way stops. 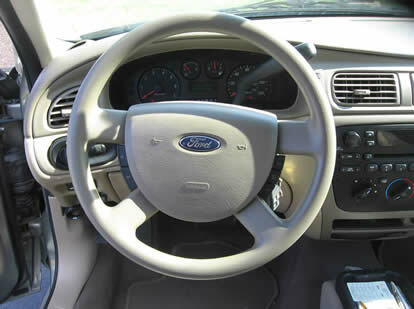 You will practice maintaining speed and checking your mirrors every 8 seconds. You will also practice uphill parks, downhill parks and y-turns. Lesson 2 During the second lesson we will go to Boscobel and review lesson 1 procedures and cover railroad crossing, straight backing and angle parking. Lesson 3 During the third lesson we will go to Lancaster and review lesson 1 and 2 procedures and cover the Lancaster square, parallel parking and rural driving. Lesson 4 During the fourth lesson we will go to Platteville and review lesson 1-3 procedures and cover traffic lights and busy residential and business driving. Lesson 5 During the fifth lesson we will go to Barnenveld and review lesson 1-4 procedures and cover the Dodgeville roundabout, entrance and exit ramps and interstate driving procedures. Lesson 6 During the sixth lesson we will go to Platteville and review with a practice skills test. The Southwest Technical College has provided the Fennimore High School with a nice 2004 Ford Taurus with only 64,000 miles. 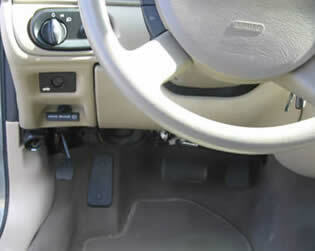 It has ABS and dual air bags and sits three passengers and one driver comfortably. Here is the Driver's Eduction Car on a sunny day!